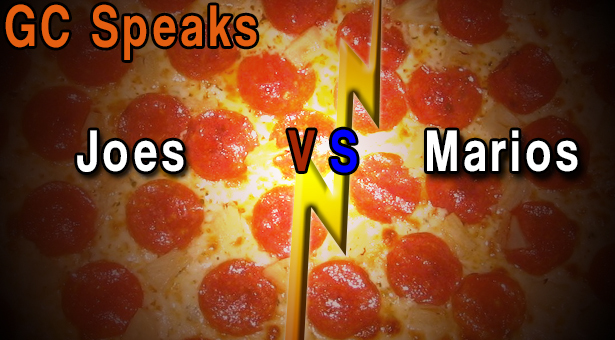 GC Speaks: Mario’s or Joe’s Pizza? It’s Thomas and Jonathan back with anther episode of GC Speaks! Today we decided to get the inside scoop of Greenville’s pizza rivalry between Mario’s and Joe’s by asking Greenville College students which joint they preferred to spend their “dough” at. It looks like Joe’s took the “pie” on this one. See for yourself and tell us what you think below in the comments section! Previous articleGod Is A Zombie? I’ve never had Joe’s, but I don’t know how it’s possible to beat Mario’s.